By Emily Williams in Social Media. Updated on August 3, 2018 . Pinterest is no longer the underdog after coming in third behind Facebook and Twitter in Experian Hitwise’s ranking of top ten social networks. With more than 100 million visits for the month of May, Pinterest has become the talk of the blogosphere and for good reasons. The site is less than 3 years old, having just dropped anchor in the Web in late 2009. Today, the site is visited daily by more than 1 million visitors who can’t stop pinning their favourite photos and images that depict style, recipes, craft, children, pets, recipes etc. Pinterest is useful not only for personal usage, but also quite effective in business promotion. This visual-based social network drives a lot of referral traffic and is of a great value for marketers. Its members number in the millions despite being an invite only website (although getting in is not very hard) and the amount of unique visitors is increasing every day. 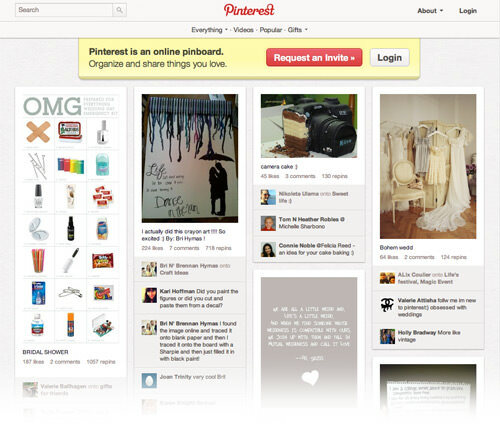 So how do we tap into the potential market that is hiding inside Pinterest? Let’s look at the inner scheme of Pinterest. It’s a huge virtual pinboard that allows people to look through interesting stuff, pin them and and leave comments below what was pinned. But we have to look deeper to see the real significance of this technology. What is Pinterest famous for? The great selling point of Pinterest that wins people over are its cool and captivating pictures. We are visual creatures and we love to look at beautiful pictures of people, nature, food, scenery, etc. 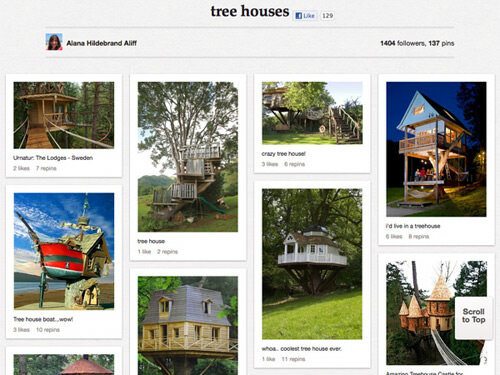 On Pinterest, we pin what we like to see, and other people pin what they like to see. The trick here is to let your visuals get pinned as often as possible. Every pin is a link to the source of the image, usually an external site – in this case, a link to your site. So every repin of the image can lead readers in a straight road back to your site. Talk about a crowd puller. Users who are searching for data may click on a nice-looking image, arrive at your website and may be converted from a simple passerby to the future customer and hopefully loyal fan. Moreover, if your pins are eye-catching and worthwhile, they may be repined by other pinners or even be embedded on your fans’ sites or blogs. 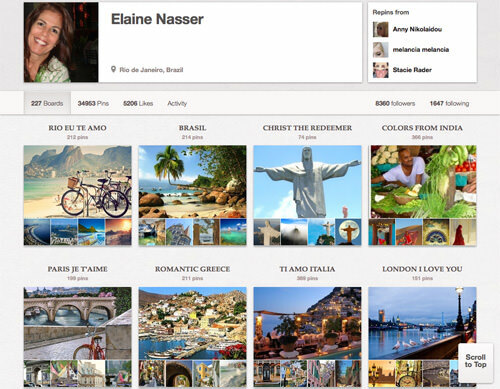 To gain confidence and loyalty you should neatly build your following on Pinterest. First of all, you have to create a good-looking account. It doesn’t matter if you activate the profile with your own name or with your company brand. But remember, people are more inclined to believe and follow individuals, not so much for companies, unless they are very popular and well-known brands. You can tie your profile to the email which is used for your Twitter account, so you can quickly share pins in both social networks. To increase visibility, on your Profile picture, check ‘Hide your Pinterest profile from search engines’ and be sure that it’s ‘Off’. This will allow your page to be indexed in a search. Don’t forget to add the Pinterest social media button to your website, blog or portfolio and your Pinterest signature to your email These two tiny, but significant gestures will help you in promotion and to build your fan base. In preparing your images to be pinned, check out its quality and overall design. Always remember that Pinterest doesn’t sell your products or services, you sell them using Pinterest via their technology and their social platform. The real value ofPinterest is in its pictures and shots. Hence, the appearance of the images that can link back to you has to be pleasant to the eye and, where possible, remarkable. However, don’t expect that it’s easy to do, that is don’t think that you will win over the fans only by showcasing photos and adding new images of your products and brand. To receive lots of repins and shares you have to follow these simple but effective tips. Create boards, organize them in a unique way so they stand out in a crowd of common names such as "cool stuff" or "things I like". If the name of your board is unique, people will be curious to know what is hidden behind that crazy, unusual or unexpected board names. Don’t just brand your digital boards. 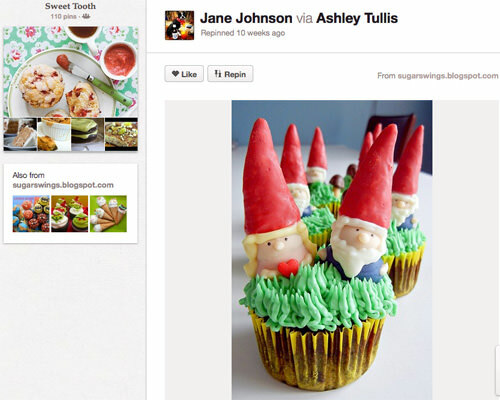 Pinterest fans will follow your boards more often if they feature original content. Establish a separate board with images that make your followers smile and laugh or some other kind of shots that raises their mood at once and make them return to your pins. Pinterest is a picture-based website, so the quality of your images is a must! Use only extremely high quality shots, their size should be about 600 or 800 pixels wide and 1000 pixels deep. The quality of the photos, images or artworks is part of your marketing strategy so take your time to choose them well. It will be worth your effort in the end. Always keep an eye on the size of the images: if the size is too small, pinners can’t share it, but if users can easily find the same image in another blog or website at the right size or resolution, they’ll pin that one, and you will lose out on the traffic generated from that pin. Don’t watermark your images. That makes it exclusive, a property of an organization, and as a result, people won’t pin your images. It’s better to not also put any marketing pitches in there, like the price of your services or products on pictures or your company logo. This may backfire, making your images unpinnable. On Pinterest, you let your product sell itself by its appearance. Keep everything else that reeks of corporate marketing out of the images. Pinterest is not a promotional website where you share your advertising, it’s a place where everyone is connected through the things and stuff viewers find interesting. At most, you can mark your image with a price tag and pin it under Gifts which is a category that caters to this kind of images marketing. 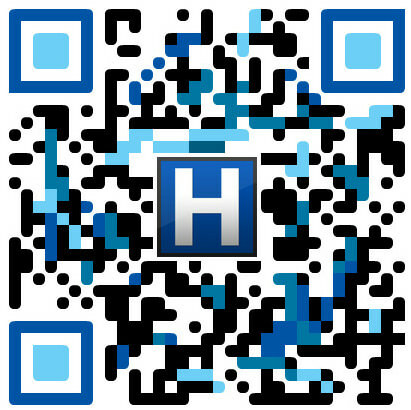 The Pinterest community loves cool images so if you can make a cool QR code that is worthy of being pinned around, the Pinners will spread the image carrying details to link back to your organization or to you. Make it beautiful with stylish designs so readers can take it for an artwork and repin it over and over again. If you want your images to be noticed, it would help to write detailed descriptions. With the right keywords people will find your images more quickly and you’ll have more chances to be noticed, ensuring more traffic to your website. If your budget permits, give a prize to the pinner who gets more shares, likes and tweets of your discount. In such attractive way you’ll make people like your brand and to get to know you better. One original pin can bring you traffic for several weeks or more, compared to a tweet that on average works its charms for only one day. When you just start pinning, don’t begin your Pinterest existence with commercial messages, get involved with emotional, fun and eye-catching pins. By repinning viral stuff you’ll draw the attention and people will start following and liking you. The best tactic is to reciprocate and follow them back, repin their artworks, but add your personal message to the repinned image. The whole Pinterest Universe is based on the content that people share. Despite the millions of images being pinned now, it’s not difficult to get your photos noticed and repinned. Just showcase things that might be interesting and the network’s simple system and user-friendly interface will help drive traffic and to your page. Remember, people on Pinterest like looking for creative things and enjoy the process of finding and discovering new images. Let’s take advantage of all this and make Pinterest work for your business. Happy Pinning! Editor’s note: This post is written by Emily Williams for Hongkiat.com. What makes you smile in the morning? The main recipe of my smile is DesignWebKit.com, just look through it and lets say "cheese" together! Or share the secret of your good mood with me on Twitter.